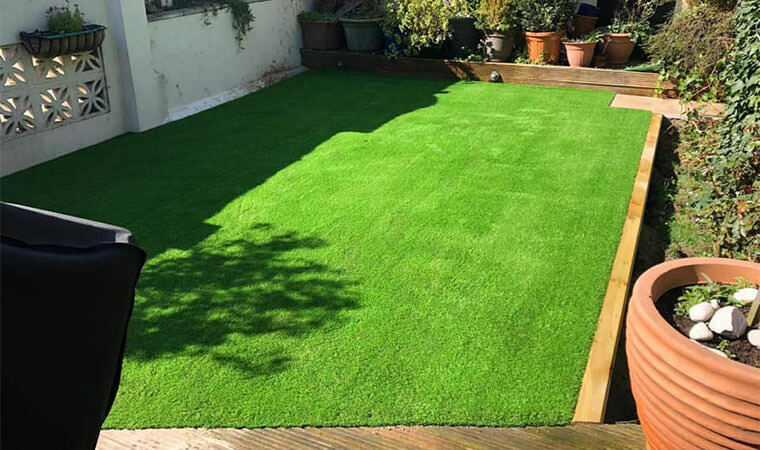 Each and every artificial grass installation we do is different. Sometimes we need to do more than just replace the lawn with artificial grass. 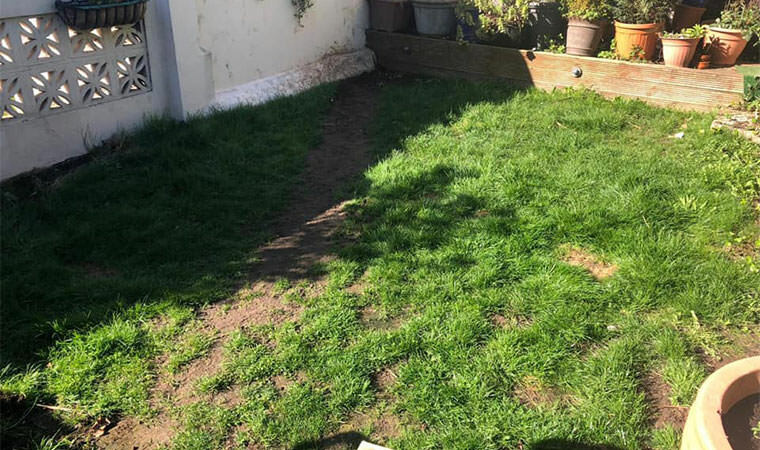 Sometimes we need to come up with creative ideas to make the install just right as was the case with this back garden in Erith, London. To get this install just right a modern sleeper was added to the right-hand side of the lawn and a couple of wonky slabs on the steps were re-laid. We raised the whole area up and removed the unnecessary lips making the area appear larger. What a great result! The Rectory grass has been used here.